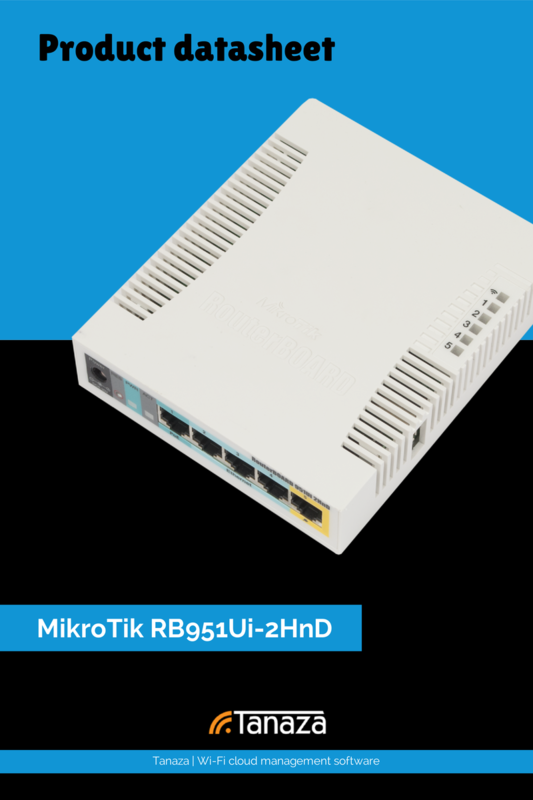 MikroTik RB951Ui-2HnD is a 2.4GHz, 1000mW, 802.11b/g/n wireless AP with antennas built in. It has five 10/100 Ethernet Ports, Passive POE on port 5, 600MHz CPU, 128MB of RAM, 32dBm output power. With the Cloud Management & Social login Account you can cloud manage your MikroTik RB951Ui-2HnD, create up to 8 SSIDs, build your splash page, add your logo, enable the social login with Facebook, Twitter, Google+, Instagram, LinkedIn and Windows Live.